If you are not running transformation programs as a part of your fitness business, you are missing out on a fantastic opportunity. These are a chance for you to expand your business while helping a lot of your clients attain their goals. I know a little about transformation. In fact, I have been referred to as the “Transformation King.” Not bad for a guy who started out with a group of only 9 clients! There is no other type of program that will bring in new clients like a transformation program. In business, your goal is to be always acquiring new clients, delivering amazing value and results, and converting those new clients into happy long-term clients. This is done through a “front-end offer.” There is simply no better front-end offer than a transformation program. 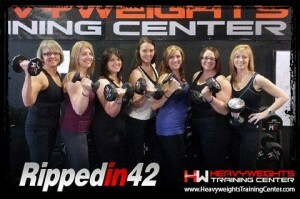 My “21-Day Rapid Fat Loss” and “Rippedin42” programs have brought thousands of clients through my doors. If you are already running programs like bootcamps through your facility, this is a great way to create a new, brand-building higher-end product. Why not offer your existing bootcamp clients a discounted introductory rate on a transformation program? By offering more value and a more intensive service to your current clients, you can build your name, and watch your results do the selling for you! For example, let’s say that your bootcamp clients are paying $149 a month, while your 6-week transformation program runs for $299. You can offer those clients a $99 discount, and give your bootcampers a whole new fitness experience. By offering a transformation program, your clients will experience all three of these and more. They will get improved results, learn to eat better, train harder, and become more focused on theirs goals. These programs lead to happier clients. Happier clients stick with you in the long run. Social proof is a very powerful tool to grow your fitness business. There is precious little more powerful than great sets of before and after pictures and testimonials. (And, trust me, people re-post their before and after shots!) These are the best sources of advertising and new clients, period. To be honest, you could use Facebook alone with your social proof and testimonials and still grow your fitness business. However, if you want really great results, you need to step it up and harness your options. At my gym, my clients are my family. They are not just members. They are like-minded individuals who are committed to getting stronger, leaner, healthier and happier together. Our gym is where we bring it all together. Your fitness business should be more than just a gym. It should occupy that “third place” (outside of home and work) in the lives of your clients. There you have 6 powerful reasons why you should start offering transformation programs to your clients. Get them started, and get them the results they deserve. Watch your business grow as your clients smile about the amazing results they get from your expert service to them. 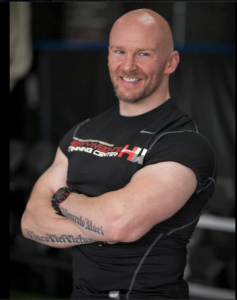 Rob King is the creator of Rippedin42 and the owner of Heavyweights Training Center and Heavyweights Supplements.